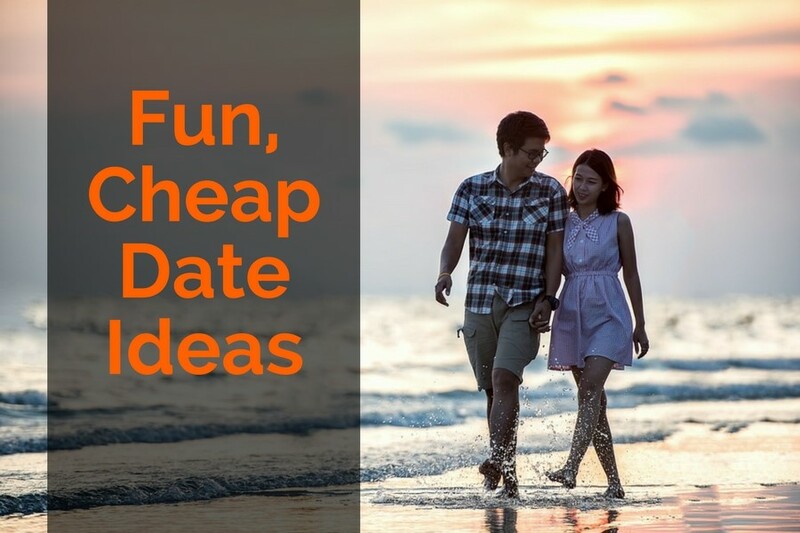 Have you been searching for some fun, cheap date ideas? Whether you’ve been married for a long time or are going out on a first date with someone new, you do not need to spend huge amounts of money to have a good time. There are many different places that you can go and things that you can do that will not drain your bank account. The secret to making sure that you both enjoy your date is to make sure that you are both having fun, regardless of how little money you spend. Here are some fun yet cheap date ideas that I love. A romantic and fun date idea is to go ice skating. If you live in a cold climate like I do and have outdoor skating rinks, ask your date if they would like to go ice skating. Being out in the cold is refreshing and also gives you lots of reasons to snuggle and get close to one another. 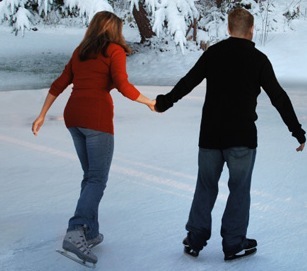 You can hold hands while you are skating around the rink and relax and get to know each other. If you live close to the beach, like I wish I did, you can pack a homemade picnic, grab some nice beach towels and sun tan lotion, and take your date to the beach for the day. You can have lots of fun swimming, playing Frisbee and building sandcastles. Depending on the beach, you can also take a long walk along the shore while you hold hands and get to know one another. My husband and I live very close to the mountains and going hiking is a great way to enjoy the outdoors and have a fun date without spending much money at all (except for the gas to get there). Depending on your fitness level you may choose a moderate climb or you may choose an easy trail. Ten years ago I was able to do the moderate climbs to the top of a mountain and it felt amazing. It was very invigorating. Nowadays I prefer easy trails. 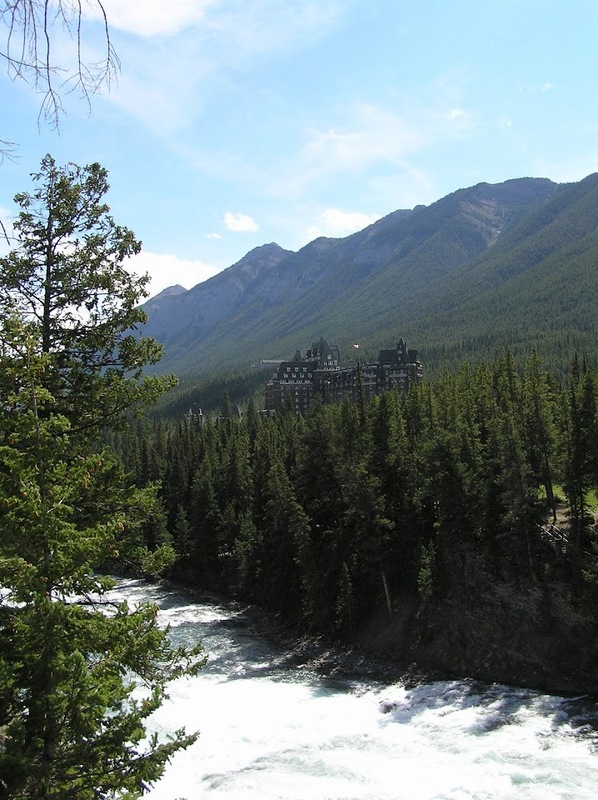 Here is a beautiful view from an easy hike we did last summer in Banff, Alberta. I love chocolate! Especially dark chocolate. And I love spending the evening in and sharing a chocolate fondue. This is a romantic yet cheap date idea, especially when you are first dating someone. Invite your special guy over for an evening of chocolate and fun. To prepare I slowly melt the chocolate in a sauce pan and add in a cup of whip cream to make it smooth and easy to use as a dip. 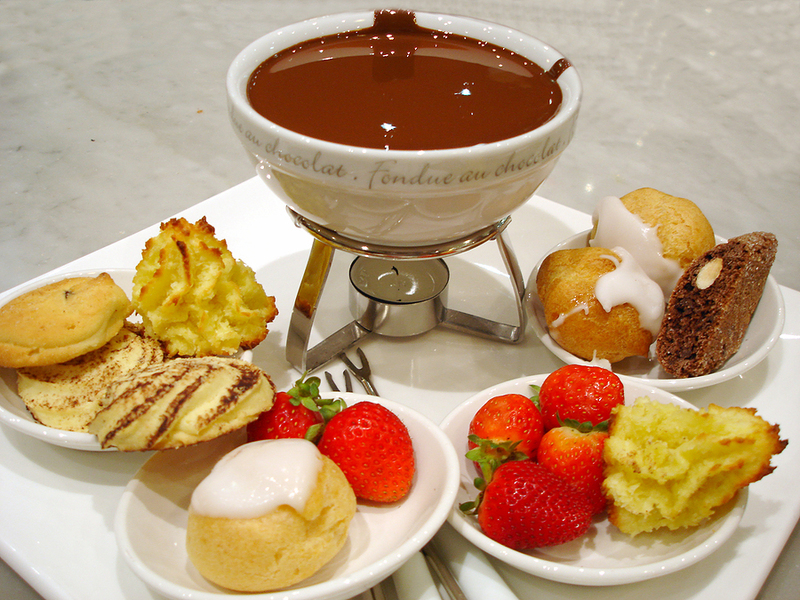 Then I pour the chocolate into a fondue pot with a lit candle under it. A candle is recommended so that the chocolate stays warm but does not burn. For dipping I cut up strawberries, fresh pineapple and bananas. Sometimes I use some marshmallows as well. My belief is that dates do not need to be wildly expensive to be impressive. They do need to be fun. 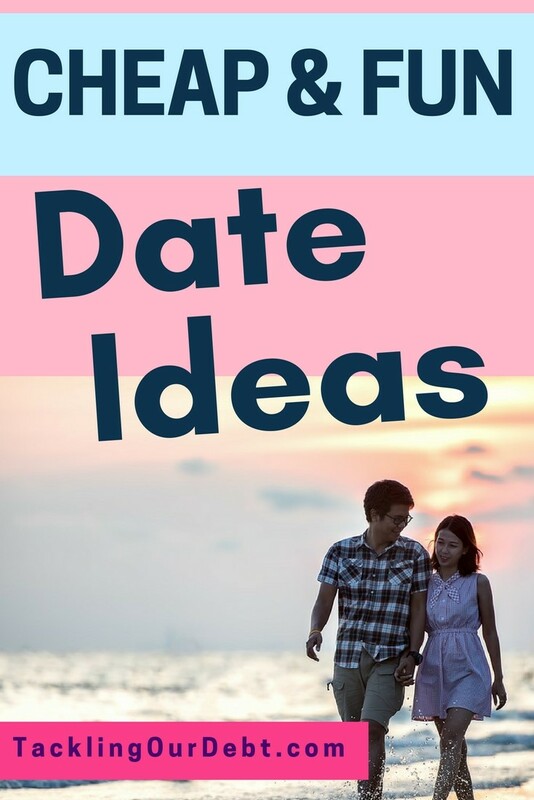 By taking a few minutes ahead of time to plan and organize what you are going to do, you can take that someone special on a date that you will both enjoy. PreviousIs It Too Early to Start Planning a Cash Only Christmas?